MixMoveMatch.com is an innovative Software as a Service (SaaS) solution for supply chain collaboration that integrates multiple suppliers and logistic service providers into an open cooperation network. Re-thinking the classic approach to logistic, MixMoveMatch.com contributes to cheaper and cleaner transport and greater margins to both suppliers and the logistic service providers. 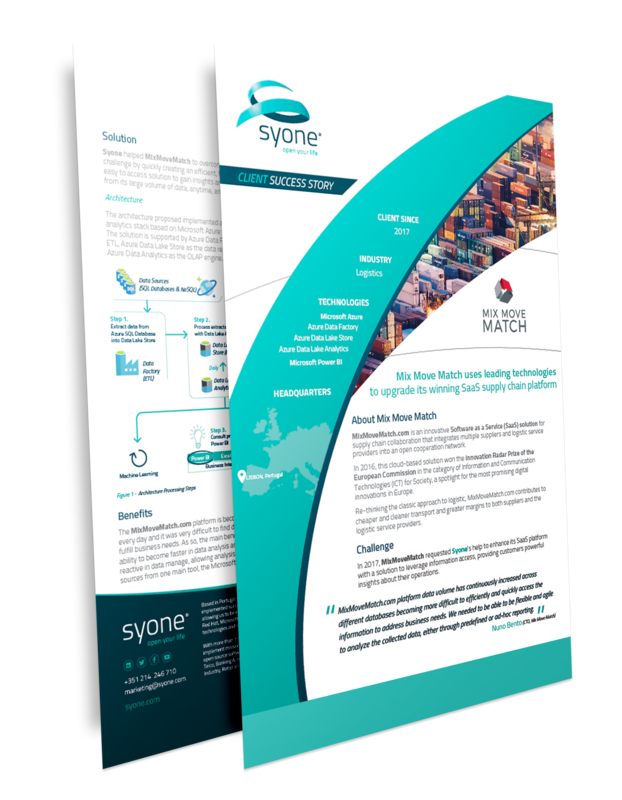 In 2017, MixMoveMatch requested Syone’s help to enhance its SaaS platform with a solution to leverage information access, providing customers powerful insights about their operations.